We present you the crystals associated with the element earth and with the earth zodiac signs: Taurus, Virgo and Capricorn. The element Earth is generated by the cardinal sign of Capricorn, is concentrated by the fixed sign of Taurus and is distributed by the mutable sign of Virgo. Those born under these signs are grounded and practical. They feel the need for security and comfort and they are willing to work hard to achieve them. Earth is the element related to qualities such as stability, strength, fertility, prosperity or comfort. In Ancient Greece and Rome, multiple goddesses represented the Earth, crops and fertility. The first of them was Demeter, Greek goddess of the harvest and agriculture. Another one was Ceres, Roman goddess of agriculture, grain crops, fertility and motherly relationships, sometimes identified with Demeter. Let’s not forget Persephone, Prosperina for Romans, daughter of Zeus and Demeter, queen of the underworld. Another earth gods was Daikokuten, one of the Seven Lucky Gods in Japan, god of five cereals and of great darkness), Veles, Volos or Benec was a major Slavic god of earth, waters, forests and the underworld. Rūaumoko was the god of earthquakes, volcanoes and seasons in Maori mythology. Prithvi or „the Vast One“ was Mother Earth – Pṛthvī Mātā in Sanskrit. You need minerals and stones associated with the element earth when you lack qualities associated with this element. For example, you can use them when you deal with physical issues or when you need to solve your financial problems. They also help you when you need to be more organized and more grounded. 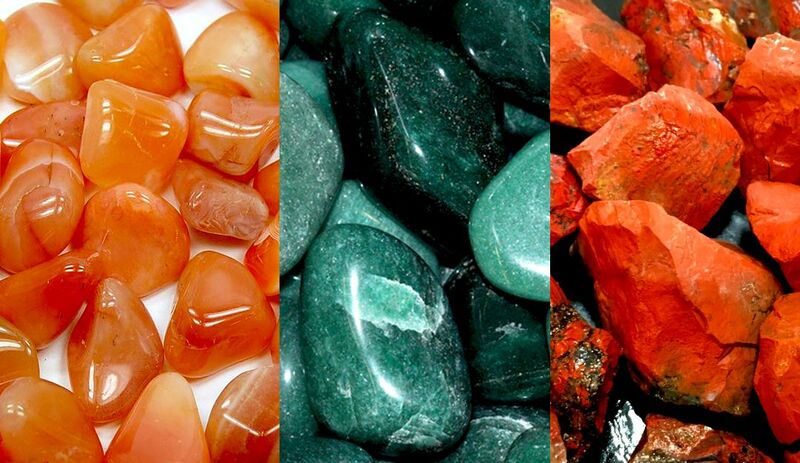 Crystals to use for good physical health: Carnelian, Jade, Rainforest Jasper, Unakite, Peridot. Capricorn Sun Sign – recommended Crystals: Hematite, Obsidian, Ruby, Onyx, Garnet, Limonite, Serpentine, Green Prehnite. Share the post "Crystals for Earth Signs: Taurus, Virgo, Capricorn"